Julia has 17 years experience launching and maximising digital products and community offerings through her 12 years at T-Mobile, as the founder of the Digital Youth Project, through her 3 years as Product Director at Weeworld and as Project Director at Space Makers. She has a strong track record of success launching products and bringing failing products back to health for start ups, corporate and the third sector. 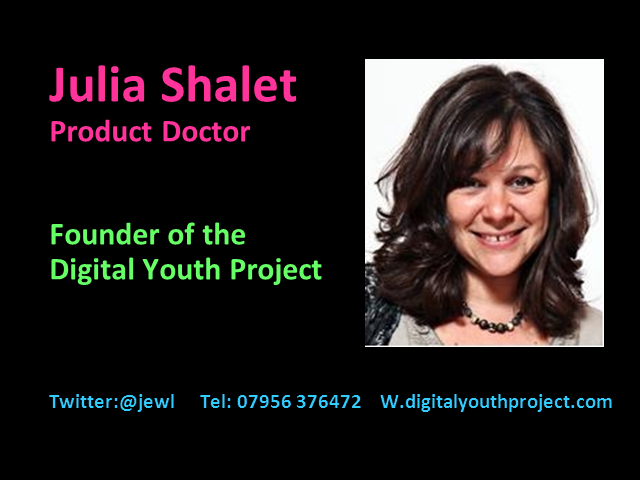 Julia Shalet’s career highlights include establishing T-Mobile as number 1 in the market for MMS; designing and delivering virtual revenue streams for Weeworld resulting in a 20m growth in registered users with $1m monthly revenue and being interviewed on BBC Inside Out for the successes at Brixton Village. Title: Digital Youth Project Insights.